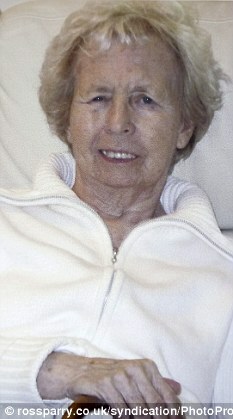 Joan Wood: Former Land Girl died from infection after being ‘starved in hospital’ | Mail Online. A pensioner who died in hospital was too weak to fight an infection because staff accidentally starved her for ten days, her heartbroken family has claimed. Medics forgot to properly attach a feeding tube to Joan Wood, 83, who served as a member of the Women’s Land Army in Word War Two, an inquest heard. 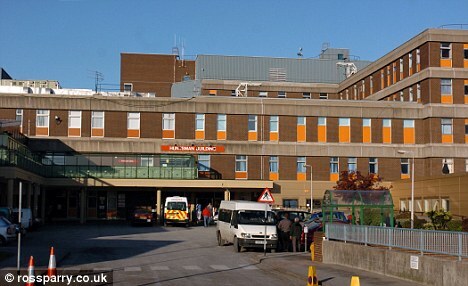 Mrs Wood’s daughter Lori, 52, criticised the standard of care at Sheffield’s Northern General Hospital. A pathologist and doctor told an inquest in the city that malnutrition could have hindered Mrs Wood’s ability to fight the infection which killed her. Mrs Wood – known as Betty – was admitted to hospital for the first time at the beginning of January last year, after fracturing her hip in a fall at Hazeldene Nursing Home in Poole Road, Darnall, in Sheffield. She had hip replacement surgery and was discharged on January 20. But she was readmitted to hospital when part of a prosthesis she had fitted collapsed. Doctors spent 13 days trying to solve the problem with pain relief and physiotherapy – while, her daughter says, her food and drink intake plummeted. Medics eventually operated to remove her hip implant and clean the infected wound. But Mrs Wood, who had dementia, died on April 1 after infection spread to her lungs and she developed pneumonia. Her daughter, of City Road, Sheffield, broke down as orthopaedic geriatrician Dr Philippa May described Mrs Wood’s nutritional state prior to surgery as ‘poor’. Questioning the doctor in court, Miss Wood asked if staff shortages at the hospital could have prevented nurses from being able to feed all their patients on the ward. Dr May said: ‘She was confused and agitated. Some days she would eat better than others, so it was hard to tell. ‘There is a very high demand on nursing staff. There are a lot of elderly patients, and that is why they have feeding charts. Sheffield coroner David Urpeth also heard Miss Wood had agreed to allow her mother, who had worked at John Lewis in Sheffield for 25 years, to be fitted with a feeding tube before the operation – but it never happened. Dr Richard Gibson, a consultant orthopaedic surgeon who treated Mrs Wood after her second admission, said: ‘When a patient has difficulty with oral intake, a tube is one of the ways we give them food. The coroner recorded a narrative verdict after a pathologist said Mrs Wood died from pneumonia brought on by an infection. Diane Fawbert, a matron at the hospital, told the inquest that since Mrs Wood’s death, some policies in the hospital have been changed. She said more volunteers were being recruited to help dementia patients eat and relatives were encourage to bring in the favourite food of older patients. The matron said Mrs Wood often rejected food, spat it out and was difficult when nurses tried to help with oral hygiene. She said that Mrs Wood did eat some food and her nutrition was satisfactory. But Mrs Wood’s daughter told her: ‘I want to know why she came to be so malnourished when she was in the hospital. ‘I don’t understand how she ended up so malnourished. The inquest was told that Mrs Wood was on a high-protein ‘soft food’ diet, but her daughter said she often saw the remains of other food that her mother had been unable to eat. After the hearing, Miss Wood said: ‘I think the system is wrong. In April, the Daily Mail reported on the case of an emaciated pensioner admitted to hospital weighing less than five-and-a-half stone. A coroner launched a scathing attack on the Beeches care home in Wath-on-Dearne, South Yorkshire, over the treatment of Molly Darby. Just five weeks before, the ‘sprightly’ 94-year-old had walked into the privately-run care home in good physical health. ButMrs Darby deteriorated to such an extent that she was taken out on a stretcher and died shortly after. When she was admitted to hospital as an emergency case her family claimed she resembled a ‘concentration camp victim’. The Daily Mail has fought a long-running battle to improve standards in hospitals and care homes with its Dignity for the Elderly campaign. Launched in 2002, it has highlighted public anger over the way elderly people who have worked and saved all their lives are stripped of their homes to pay care bills of several hundred pounds a week. Meanwhile, those who have not worked to own their own homes have their bills paid for them and are placed in homes alongside those who have had their properties repossessed. In 2002, the Mail highlighted the case of 108-year-old Alice Knight, who starved herself to death in protest at being moved from her care home in Norwich.